So why not do something about it? There’s a bunch of ways you can help listed here. 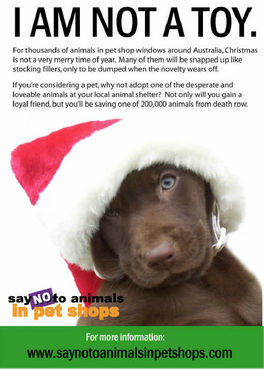 You can also help by assisting places like Sydney’s no-kill shelter DoggieRescue. The digital revolution is already here and it is changing the way people expect to communicate or share knowledge and information. Educators are facing technology changes together with changing expectations from students about the use of technology in an educational context. A key challenge for teachers is also the delivery of personalised learning. This is happening the context of the growth of social and collaborative technologies, that reach outside the traditional walls of educational institutions. The digital revolution has seen a shift in communications technology that has even begun to engulf the traditional book. Newspapers as we knew them are a dying breed. Television is now mobile and digital, and we can consume it wherever we like in the western world. We are seeing a shift in communications from the old style broadcast towards an interactive and mobile style. Advances in mobile technology mean that handheld devices like iPhones and Android mobile phones often have just as much computing power as desktop PCs. Once these devices proliferate the ability to deliver localised, customised and personalised content to users regardless of location will be generally available. Traditionally education was a teacher centred process with the teacher in the role of an expert who delivered objective information in a linear fashion. The teacher was the owner of the privileged truth and the role of the learner was to acquire the knowledge and demonstrate via exams their successful acquisition of knowledge. Teachers were in control and learners were not in control. For 21st century education computers are the norm. But also the notion of education taking place in a particular fixed location is becoming irrelevant with proliferation of mobile computing and wireless broadband. It also means that collaboration does not need to be confined to a group who are physically co-located. Learners can collaborate with people all over the world using cheap and accessible technology. It also means that teachers are liberated from the tyranny of place too. Over the past few years the social web has built up a value system that is quite different to the educational and business value systems of previous centuries. This shift is now flowing out into general society and influencing news media, social interactions and education. It informs the expectations of students in both explicit and implicit ways. This new digital world looks very daunting to most of us. I love this picture by Alec Couros that shows the teacher at the centre of this bewildering new world (it applies just as well to other knowledge workers). The teacher is at the centre of all of these new technologies, expected to master new technologies as well as their specialist knowledge domains. But that is old world thinking. Because in the old world the teacher had to be the expert in every sense. But now the teacher is liberated to be the expert in narrow areas and facilitating the learning experience. Thus the picture above is not so daunting at all. And, most of all, it is not about the teacher as entertainer. It is about using the technology resources available so as to engage the attention of learners enabling them to discover information and build appropriate knowledge sets. The role of educators in this model is that of facilitator, as a guide on the journey. The problem is that we’ve all been educated to know the answers. And we feel bad or inadequate when we do not fulfill that image. But knowledge today is so vast that even experts of have huge swathes of things they do not know. The leadership that our learners need is for us to model the behaviour of discovery rather than knowing in many cases. While there are simple things we can know (multiplication tables are a good example) there are many more things for which knowing how to find them or how to derive them is more important. Thus educators are moving from purveyors of facts into facilitators of discovery. The average person confronted with the plethora of social media and social networking sites is confused. And educators are being asked to assess which of the many platforms available they should incorporate into their classes. It’s enough to make the average person break out in a sweat. The transparency enabled by web 2.0 is also enabling comparisons to be made more easily. And, while we all love it for shopping, it is not so much fun when you’re the one whose performance is being publicly monitored and compared with your peers. Looking on the bright side, it is happening to many others (even kittens). Some people talk about the new pedagogies of engagement or inquiry but I prefer to think about it in terms of attention, engagement and discovery. Teachers have moved into the engagement economy. … and these are not cats! I spent most of my youth and childhood hanging about in public libraries and reading their books. In fact I blame libraries for most of my quirks these days, since it was there that I was exposed to dangerous ideas from philosophers, historians and fiction authors. The local, school and state libraries provided a welcome haven away from my rowdy siblings at home and the somewhat unpleasant school bullies of my youth. Last week I was lucky enough to join a distinguished panel at the State Library of NSW to discuss the future of libraries. The event was the Futures Forum 2010 (PDF of media release available here). The panel and assembled librarians were considering the possible futures for libraries in NSW – looking at these via the The bookends scenarios : the future of the Public Library Network in NSW in 2030 (PDF copy of the scenarios available here). The booksellers on our panel were very worried about the impact of e-books and readers such as Kindle or iPad on their existing business of selling physical books. This concern is no surprise with the rapid shift of consumption towards virtual rather than physical media for both books and audio. It seems very clunky to buy a CD for music now when I can just download the music I want to my mobile phone. It’s not hard to imagine the same scenario for books once equivalent reading devices are more widely available. Another feature of the shift to virtual goods instead of books is the growth of recommendation engines and the ability to share our enthusiasms widely and immediately via social networks. Thus if I love a new book, article or song it is easy to share it was all my contacts via Facebook or Twitter with a click or two. And interested parties can acquire it almost immediately based upon my recommendation. Thus the role of the mediators (like booksellers) is being replaced by the broader community of my social connections. The growing hyper-connectedness facilitated by the internet and our connected devices make sharing of media a communal thing. In the same way that we pass physical books and CDs around amongst our circles we are sharing our passion and interests for virtual media. Libraries are either going to adapt or go the way of the dinosaur. Judging by the level of thinking, debate and discussion I saw last week, my money is on adaptation. Of the future scenarios considered, the one I see as most probable is that libraries become shared community spaces providing a hub for local activities and collaboration. Have you been to your local library lately? Why not get along and check it out?